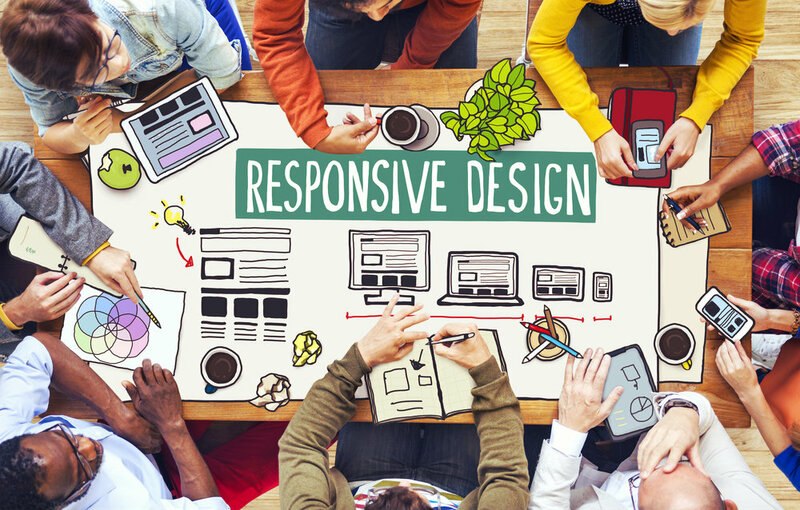 If you are looking to have a website built in 2015, chances are the design developed will be mobile responsive. In fact, the term responsive web design has almost become redundant as the technique has been developed and used so much that 'responsive web design' and 'web design' are practically interchangeable. Responsive Web Design is the name given to a website who's layout and content respond to fit the varying resolutions and sizes of different screens. Understandably, there are varying degrees of mobile responsiveness and some businesses who claim to have a mobile responsive site don't, whether that be because they simply don't understand the technology or because their web design team somehow convinced them it was. There are various tools available to help you check the mobile responsiveness of your website, including Google's Mobile-Friendly Tool and mobiletest.me. Alternatively you can use Google's Full Value of Mobile Calculator to understand the value that mobile drives for your business through calls, apps, in-store, mobile site and cross-device. Where Did Responsive Design Come From? The development of the mobile web was a key trigger to the rise of responsive web design. People today are able to access the internet on the go from mobile devices such as tablets and smartphones. And displaying desktop-oriented web pages on these gadgets led to a lot of zooming in, pinching of screens, incorrectly thumbed buttons and inevitably a lot of frustration. The need for responsive design was obvious, and web developers began the process of developing websites that could be easily accessed on these smaller-screen devices, satisfying the impatient needs of today's consumers. Evidence of mobile usage varies, however it generally accepted that mobile accounts for around 50% of all web traffic and is expected to overtake desktop in the coming years. It is obvious then that responsive web design is the correct path to choose in order to capture the changing habits of your customers, and should almost be a given when you create a website for your business. Traditionally, there were two main ways to create websites that worked on mobiles: Responsive Design and Mobile Templates. A mobile template involves creating a completely different website that requires a second, or sub-domain. They are developed for each specific, not by screen size. Conversely, responsive design requires only one website and is coded to fit screen sizes, regardless of device. Responsive Design has generally won the mobile battle, proving to be a better way to display web pages across a variety of devices and is better for SEO. As such it is generally the preferred method adopted when designing websites. Isn't RWD Expensive and Confusing? Yes, and no. Responsive Web Design can become a complicated process and if you are unsure what your business needs, rogue web developers can easily confuse and over-charge you. There are however more affordable ways to get a responsive website, such as using a website builder with responsiveness built into their themes. Website builders allow you to manage and edit the content you want on your website in an easy way whilst still providing for the mobile market. What About The Web You Can Wear? Technology took another leap this year with the launch of Apple's Apple Watch. Wearable technology become a hot topic (although has actually been around longer then the Apple Watch) and it has opened the doors to a completely new way to use tech. Those who own, or have tried an Apple Watch, however have probably noticed the lack of web browser present. Whilst it could be argued Apple and other wearable tech developers such as Android deliberately omitted it, it is a much more likely case that even the best design and development team were unable to create a browser that could work on the 272px by 340px screen. Designers and developers are still grappling with this problem and are already finding ways to deliver the full web experience. What is the Future of RWD? To truly evolve the web, designers need to develop new ideas and systems. Simply painting over the cracks won't suffice. New technologies need to adjust to the technological advancements and changing user behaviours in our economy and society. There are murmurs that audio responsive web pages (where users will be able to navigate themselves around the web simply by using their voice) could be the next chapter. This is an understandable development if you consider Siri, Cortana and OK Google are already available and used today. Other sources have indicated the tightening of tendons in the wrist could overcome the problems of 'fat thumbs' or the clenching of the fist could replace swiping or clicking. The future really is open to solutions we can't even comprehend just now. For the time being, responsive web design is critical to web design. One of the great qualities of responsive design is that the template responds based on the dimensions of the screen, not the device that is being used. This means that regardless of the device the webpage is being shown on it should display in a user-friendly way even if a new mobile device is created with a new screen size and resolution.